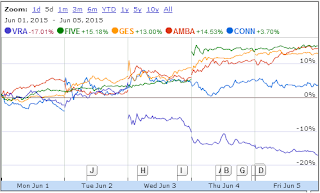 Last week we posted stocks to watch for earning play. 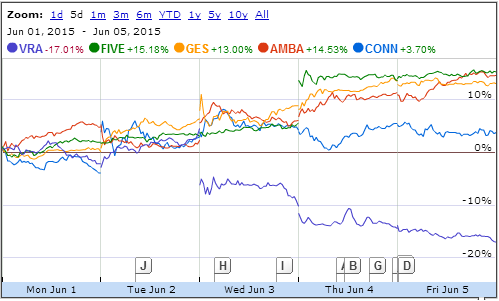 AMBA, CONN, FIVE, GES and VRA were stock on the radar for this week earning. Check out next week earning watchlist soon.